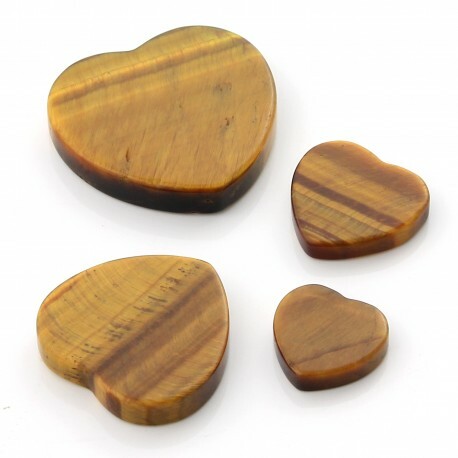 These heart-shaped gems of Tiger's Eye are perfectly polished and have a flat shape, on both sides. They can be used to deceive jewelry or costume jewelery, and macrame works. Heart of 12,20 x 12 x 2,60 mm approximately, weight about 0,80 gr. Heart of 15.20 x 14 x 3.20 mm approximately, weight about 1.40 gr. Heart of 20.20 x 19.80 x 4 mm approximately, weight about 3 gr. Heart of 25.20 x 24.20 x 4.50 mm approximately, weight about 5.40 gr.